Something fun to share on le blog today! 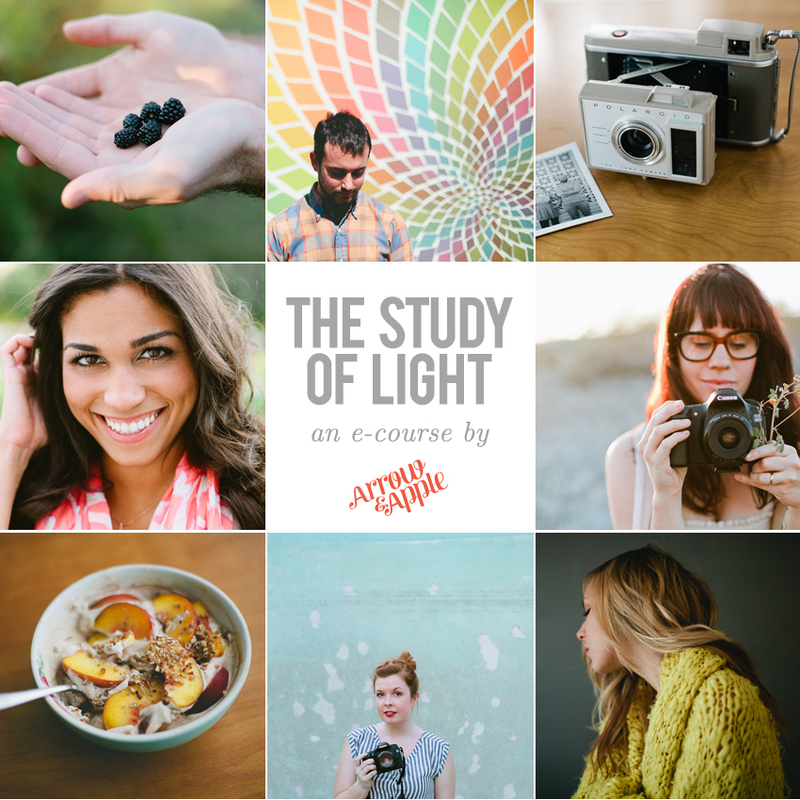 My good friend & oh so talented photographer, Sarah Rhodes, of Arrow & Apple, has started offering a fantastic e-course: The Study of Light. The topics will cover the ins and outs of lighting to improve your photography, which is high on my list of blog must-dos. For all us 8-5 "night bloggers" lighting is a huge issue! The eight week course will cover everything from tools for the best lighting, at-home lighting studios, the best ways to use natural light, reflectors, and all that jazz. Check out her blog for more info, she can tell it better than I can! Until after the course, then I will school you with my knowledge. For beginners, intermediates, or even past photography minors who haven't given a second thought to actually trying to take nice photos since graduation (SO GUILTY), this class is for you. Let me know if you decide to sign up! I'll be taking the class, and would love to discuss progress with fellow classmates. Have a fab Thursday people!